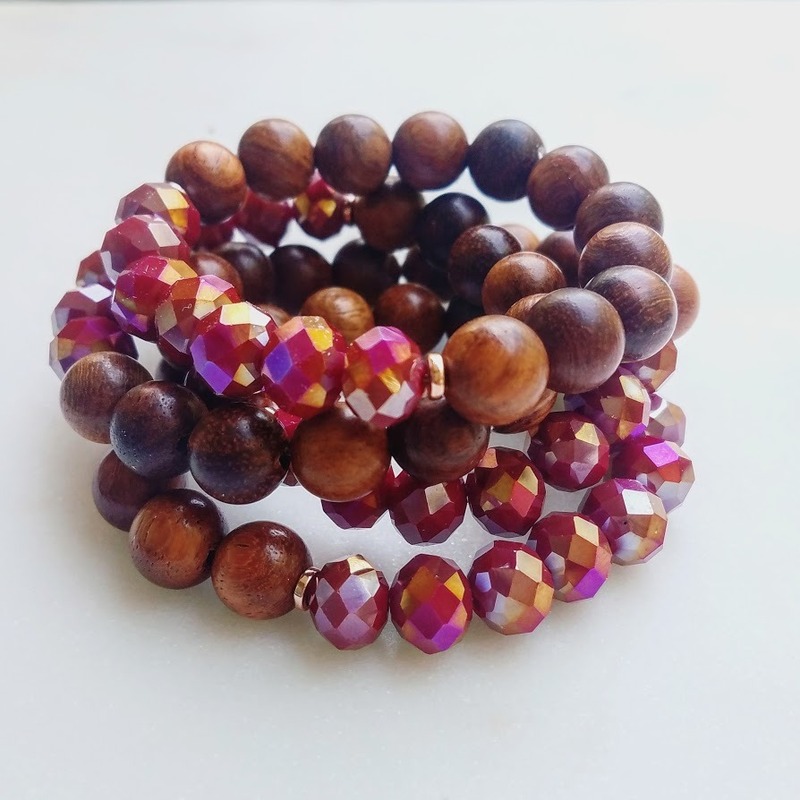 This listing is for a 1-piece bracelet made with 12mm aurora Czech glass crystals and 10-12mm wood beads complimented with copper tone spacers. Comfortable 7 1/4" stretch - one size fits most. 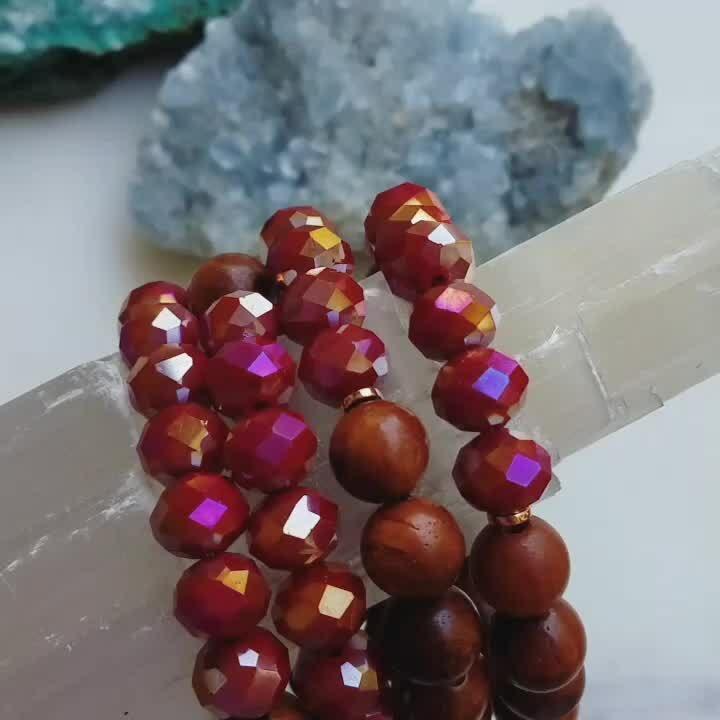 Color therapy crystals provide the essence of "red" for grounding harmony with the deep, slow frequencies of earth. Wood connects the heart to the earth heart.